Print and laminate all game pieces. 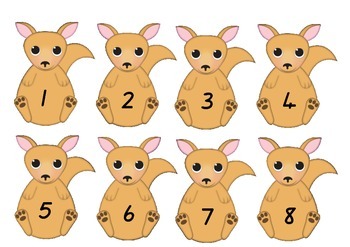 Use a utility knife to make a slice along the top line of each kangaroo pouch. 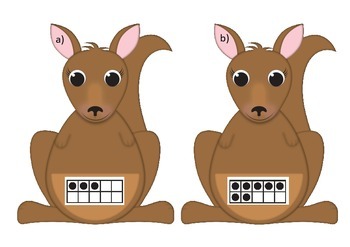 This allows the joey piece to be tucked into the pouch to form a match. 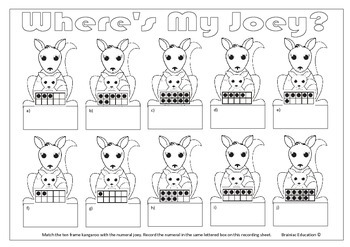 Students play by identifying the number represented on the ten frame and then matching it with a numeral shown on a joey. Once a match has been made it can be recorded on the activity sheet by writing the numeral in the corresponding lettered box.